Few brands can boast the social media reach and clout of the National Geographic Society and its magazine. NGS has more than 100 social media accounts with a combined fan base of over 100 million (35 million on Facebook, 20 million on Instagram, 9.3 million on Twitter, 8 million on Google and 800,000 on Pinterest). Brand fans’ breakdown is 80% international, 20% U.S.
During a session at the 2015 Magazines at Retail Conference, Liz Safford, SVP of consumer and member marketing for the Society (far left in photo) and two team members—Kate Coughlin, senior manager of social media (center), and Jessie Mesirov, social media producer—shared some points about how they leverage social media to drive single-copy sales, traditional memberships (for which a sub to the print magazine is the major benefit) and online community memberships. “Our goal is to connect with all of these people and drive them to purchase or take action—not just collect large numbers of ‘likes,’” stressed Coughlin. NGS’s photographers often contribute to the social conversation by posting unpublished photographs on Instagram, publishing links to the Instagram posts on Facebook, and encouraging fans to go buy the magazine to learn more, Mesirov noted. When the nonprofit organization launched National Geographic History magazine, teasing social fans with compelling content and following up with strong, clear calls to action produced reach of 500,000, and engagement from 12,000 social users, as well as 12,000 visits to the subscribe page. The social activities were closely correlated with a lift in subscription sales, according to Coughlin. NGS has also used live engagement events on social, such as using Facebook’s new Instant Articles platform to showcase an article from the print magazine solely on Facebook in the U.S. market. “People could ‘like’ any or all of the photos or videos in the Facebook article—it’s very interactive and engages them on a deeper level,” said Mesirov. NG is also offering social fans exclusive access to its explorers and photographers through live Q&A events. “This has generated huge response—we try to do one per week, usually tied to content in the magazine” and sometimes also to television content, Coughlin reported. For instance, for the 25th anniversary of the Hubble Space Telescope, NGS did a television special, and a scientist from the magazine’s article did a live Q&A on Facebook, plus a takeover of NGS's Twitter account. Photographers often do video stream Q&A’s with fans, who can then follow their adventures on Facebook, Instagram and other social channels. “We are always on the lookout for new opportunities, and we’re confident that Millennials and younger people will continue to come to the magazine—in part because we engage them on social with content and events, like a recent live-stream event on meerkats that was tied to an upcoming article,” Coughlin said. Safford shared some of the types of initiatives NGS has been employing to broaden its membership opportunities. NGS has 3.9 million traditional members who receive the print magazine, and 3.3 million registered online community members. One example of a value added: On its site, NGS now offers subscribing members access to digitized versions of archival newsstand special issues (never a special issue that’s currently being sold at retail)—a different back issue each month. Some of the online community members are part of a “Your Shot” photo-sharing community and some are general members. 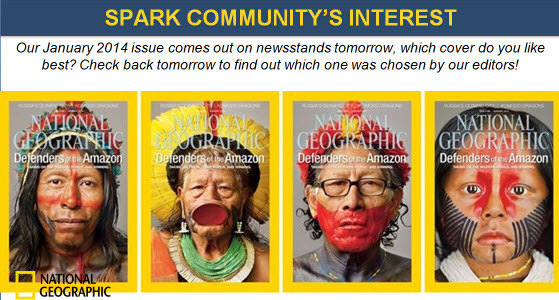 NGS launched a daily giveaway of a subscription to National Geographic magazine for the member photo that gets the most ‘favorites’ from other members. Once NGS has an email address, usually through a Facebook registration, it begins “courting” the individual by email—and increasingly, this is being done to specific segments, to enable more specific messaging and value-adds, she said. Bottom line: NGS is focused on delivering compelling content wherever today’s audience is seeking it, in formats that support NGS by driving engagement, purchases and memberships, Safford summed up.